Equipment operators GV&F - Bois B.V. Maintenance monitoring and supervision of preventive and corrective maintenance is driven by the BOIS equipment asset management approach. BOIS operators / mechanics have been trained for each individual piece of equipment, for both operations and maintenance, and for keeping a track record of their activities (and therefore experience) in the field. The BOIS education and training program is focused on creating multi-skilled, experienced operators. In a natural way people develop into equipment experts. 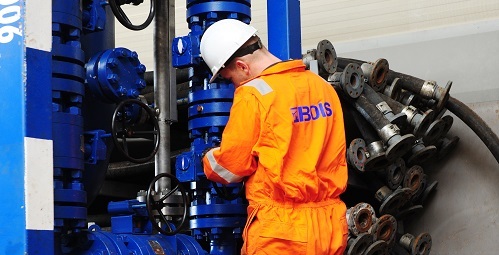 Our BOIS operators are of great help to customers using equipment for their well test and clean-up operations. Supporting them in many ways, they feel responsible and a part of the crew.